Lance and Paschyn take the foundational feminist media theory symbolic annihilation and apply it to Qatar, a context where it is a foreign construct, and may be seen as not culturally relevant. The authors deconstruct the notion that “basic lessons about social life” (Tuchman, Gaye. Introduction: The Symbolic Annihilation of Women by the Mass Media. In Hearth and Home: Images of Women in the Mass Media, ed. Gaye Tuchman, Arlene Kaplan Daniels, and James Benét, 3–38. New York: Oxford University Press, 1978) are learned from the mass media, and argue that they are instead found in other venues in Qatar, such as majaalis(traditional gatherings), where women are visible to other women, if gender-segregated from men. Further, they contend that the historical role of the media in this Gulf country differs fundamentally from that in the West. They examine whether the relative absence of women appearing in local press should or should not be considered an example of symbolic annihilation. 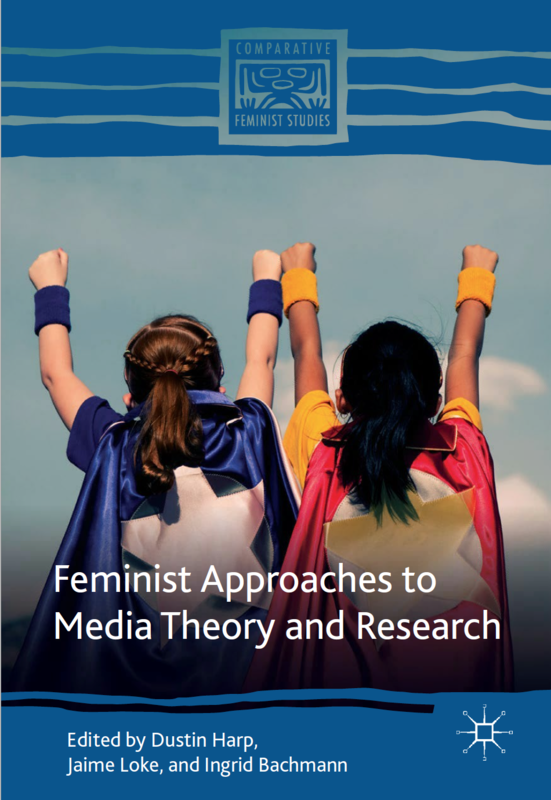 Chapter appears in the Feminist Approaches to Media Theory and Research textbook. Published by Palgrave Macmillan, July 2018. Abstract: Lance and Paschyn take the foundational feminist media theory symbolic annihilation and apply it to Qatar, a context where it is a foreign construct, and may be seen as not culturally relevant. The authors deconstruct the notion that “basic lessons about social life” (Tuchman, Gaye. Introduction: The Symbolic Annihilation of Women by the Mass Media. In Hearth and Home: Images of Women in the Mass Media, ed. Gaye Tuchman, Arlene Kaplan Daniels, and James Benét, 3–38. New York: Oxford University Press, 1978) are learned from the mass media, and argue that they are instead found in other venues in Qatar, such as majaalis (traditional gatherings), where women are visible to other women, if gender-segregated from men. Further, they contend that the historical role of the media in this Gulf country differs fundamentally from that in the West. They examine whether the relative absence of women appearing in local press should or should not be considered an example of symbolic annihilation. Read the full chapter and purchase the textbook here.